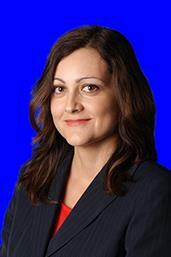 Maya Thenevot is an Associate Professor of Accounting at the College of Business, Florida Atlantic University. She finished her Ph.D. in accounting at the Pennsylvania State University in 2008. She has taught intermediate and advanced financial accounting and Ph.D. seminars in empirical accounting research. Professor Thenevot's research is primarily focused on the effects of accounting information on the behavior of capital markets participants. Specifically, she is studying how managerial incentives shape firm accounting disclosures, which in turn affect investors, regulators and financial analysts. Her research has been published in the Journal of Accounting and Economics, Contemporary Accounting Research, and the International Journal of Forecasting.